Becoming one of the most famous chefs in Milan (and, after starring in her own television show, all of Italy) isn't easy, but Viviana Varese remains at the top of her game by sourcing the very best produce available. With her business partner Sandra Ciciriello, she has turned Alice Ristorante into the city's most popular venue. While she had a good background in fish, Viviana wanted to expand her culinary skills. This led to an internship at Mediterraneo, a restaurant in Piacenza, Emilia-Romagna, where she began to gain experience in producing all sorts of Italian food. Eventually, she moved on to l’Albareta in Erbusco, Lombardy, where she had the chance to learn under Gualtiero Marchesi. It was here she developed her own style, combining the flavours of the Amalfi coast and her childhood with expert skills and techniques. The next five years saw Viviana gain experience in prestigious restaurants such as El Cellar de Can Roca, in Spain, until she felt she was ready to venture out on her own. She opened her first restaurant, Il Girasole (The Sunflower), just outside Milan, but continued her studies with Gualtiero and pastry chef Maurizio Santin in Rome to satisfy her thirst for knowledge. 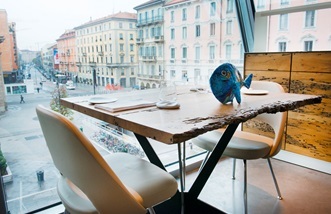 The menu at Il Girasole focused on fish and seafood, which meant sourcing the freshest produce was vital. Sandra Ciciriello, a fish supplier, was the best in the area, and Viviana worked with her closely to make sure everything was top quality. Sandra was also studying to become a sommelier, and the pair quickly became friends. In 2007 Viviana and Sandra decided to go into business together and opened Alice Ristorante in Milan. 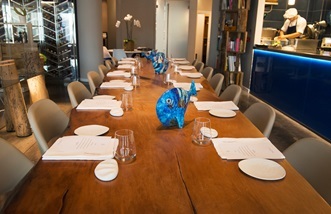 Viviana headed up the kitchen, continuing to focus on fresh fish dishes, while Sandra acted as sommelier and maître d’. National recognition came four years later, when the duo was awarded a Michelin star. The next big step for the pair came when Viviana met Oscar Farinetti, the founder and creator of Eataly, a range of shops across Italy which sell the finest food and drink in the country. Her love of produce matched up perfectly with Oscar’s, and in 2014 Alice Ristorante moved into the Milan branch of Eataly, retaining its Michelin star and becoming even more popular. The food at Alice Ristorante celebrates moments of Viviana’s life, focusing on the flavours of her childhood. ‘I get a lot of my inspiration from the Amalfi coast and the south of Italy, but because I’ve travelled quite a bit I look to other cultures, too,’ she says. 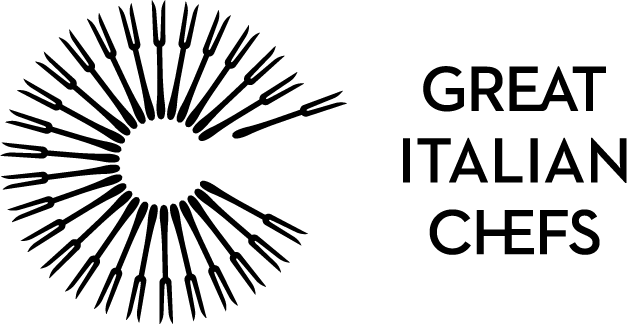 ‘In a place like Milan, you have to serve global cuisine.’ Viviana is also passionate about gluten-free cooking, and has an entire menu devoted to it, alongside plenty of vegetarian dishes. All of her food has a healthy, natural focus, and she feels strongly about spreading awareness of regional Italian food on an international scale. In 2014, Viviana and Sandra became the stars of a reality TV show in Italy called The Chef and The Boss, which looks at their working relationship and how hard it is to run a Michelin-starred restaurant in Milan. 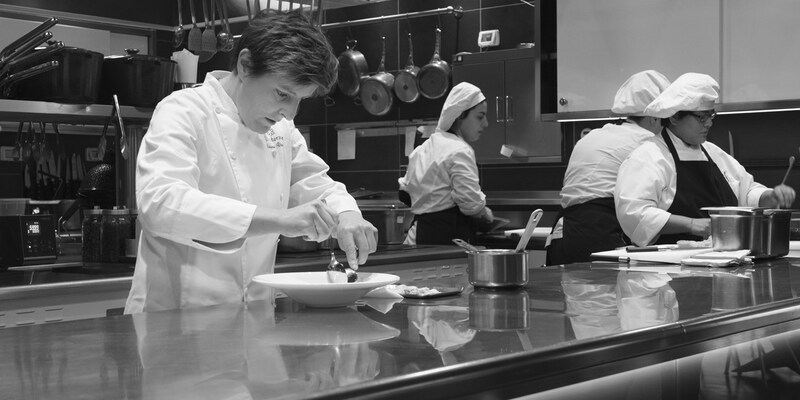 In 2010, Viviana was awarded the title of best female chef by both Identità Golose and Gambero Rosso. Viviana is an accomplished pastry chef, thanks to her time spent with Maurizio Santin and Leonardo Di Carlo – a winner of the World Pastry Championships. With dish names such as ‘Super’, ‘Mont blanc’ and ‘Beautiful with soul’, Viviana likes to show off her creative side. Her contemporary presentation style is artful and clean, representing the full flavours of her cooking perfectly.